I hear that PDC have approved the planning application for the new school in Northbrook Road. Outline Planning Application - Demolition of existing house. Outline application for a residential development of up to 52 units (50/50 mix market and affordable housing) with access via Northbrook Road. Change of use of former school from C2 (Residential Institutions) to D1 (Non Residential Institution). This will involve the demolition of existing extension, portable buildings and hut, combined with a new single storey and two storey extension and sports hall. Create new access to Northbrook Road and move existing access. Swanage Pier has been voted best in the country! Thanks to the hard work and dedication of its energetic volunteers, trustees and supporters,SWANAGE has been chosen as PIER OF THE YEAR 2012 by the National Pier Society’s 650 members. It was runner-up last year,this is the first time it has won the award and marks the Pier Trust's achievements in providing an "excellent visitor experience, keeping the pier in good condition and maintaining excellent websites." No fewer than 22 different piers received nominations this year: BLACKPOOL NORTH (which recently changed hands) and CLEVEDON in North Somerset tied for second place. 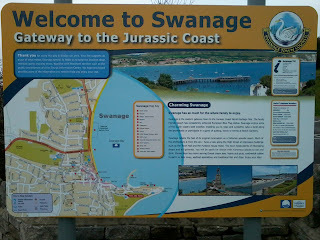 Swanage has a pier to be proud of. Several volunteers have had to hang up their hats recently due to age or ill health and the Pier Trust is looking for extra help on the gate and in the shop - if you have a morning or afternoon spare they would love to hear from you. After frantic campaigning and a 3 year process DCC changed its mind and agreed to re-open the Home. There will be a report from Dorset County Council on the progress on the future of the James Day Care Home. Ø Full update on the Swanage NHS Dentistry situation. Petition complete, Richard Drax MP involved, what service will be available after April 1st? “Many only seek help once the condition has deteriorated, when the person with memory loss is often isolated and cut off from support previously provided by friends and neighbours. Ø From our last meeting: What is the situation regarding cancer drugs? This meeting is open to ALL Swanage residents. We can pick you up and return you home. You can arrange this by telephoning Mo on 07825 206055. The Creative Pioneers Challenge is a nationwide search for digital natives and creative entrepreneurs. They're offering up to 300 people in the UK the opportunity to find work in the creative industries. Opportunities available include apprenticeships and internships, being offered by 100 creative and digital media businesses. If you are ready to start your own business instead, they want to put you in touch with the people who can help make your business fly. Most opportunities are in London or other regional centres. All schools hold a statutory consultation before they open and that for the new school runs from today until 10 May. 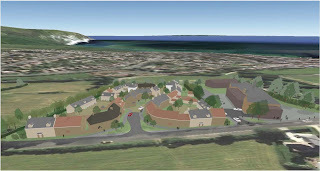 Education Swanage want as many people as possible to give their opinions on the plans. They'll be holding several drop-ins in the next few weeks at Ulwell, Langton and Herston, as well as a meeting at the Mowlem on Wed 25 April at 7pm. They look forward to seeing you. 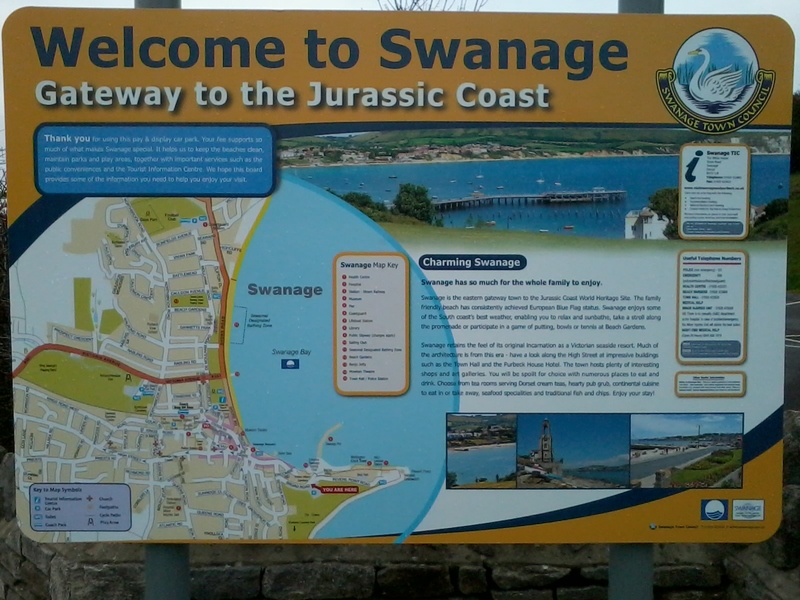 Congratulations to Swanage Town Council for the new welcome signs in the car parks. This is something I proposed a while ago, and I believe will be a great help to visitors. Now have to keep pressure on for my other idea, to sweeten the pill for those who find the parking prices too high: to have a car park ticket lottery, whereby you write your phone number on the back of your ticket when you leave, place it in a box provided, and every day or week someone wins £20 (or more). But that was rejected the three times I proposed it, as being 'unworkable'. Because all mums are heroes, treat your mum to a meeting with a heroic mother from history this year. Lady Bankes Mothering Sunday at Corfe Castle features costumed talks by Lady Mary Bankes – a 17th century mum who became a heroine of the English Civil War. Brave Dame Mary, as she became known, defended Corfe Castle during two sieges by Roundhead forces before it eventually fell to treachery. But she was also mother to 14 children, and the talks focus on the fascinating details of her family life. Research by National Trust volunteer Elizabeth Baker has uncovered a wealth of personal information on Lady Mary and her children. · Eldest daughter Alice wrote a book on household management called Ladie Borlase’s Receipts Booke which includes a recipe for ‘snaile water’ – including real snails! 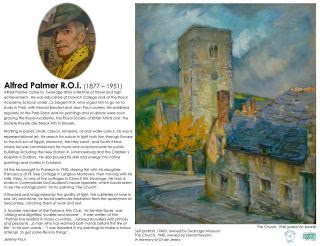 · Son Ralph is remembered for building Kingston Lacy house, near Wimborne, which is also looked after by The National Trust. · One of Lady Mary’s followers was paid £200 pounds to open the gates for Roundhead troops and force her to surrender. She was given 10 days to leave with the two daughters then living with her, four servants and whatever she could fit into her carriage. Corfe Castle is open 10am-5pm. 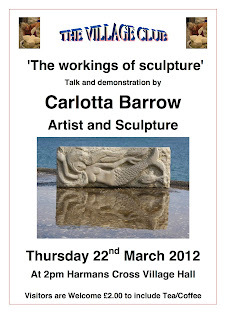 Talks are free and take place throughout the day – normal admission charges apply. Lady Bankes Mothering Sunday also features a free themed family-friendly activity trail with a prize on completion and Lady Bankes Teas. Do others find these things really irritating and hard to use? I'm sure they must put people off posting comments. Now in its third year, the OK Classic Fishing Tournament goes from strength to strength. Sponsored by Johnson Outdoors UK and supported by AnglersAfloat there are once again some fantastic fishing kayaks and other great prizes to be won. Three of the latest fishing kayak designs from Ocean Kayak are the main prizes. First prize is the newest design in the Trident Ultra series, the Ocean Kayak Trident Ultra 4.3 which has, among its many features, an exciting performance hull. Second prize is the Ocean Kayak Prowler Elite 4.1 which is an upgraded version of the best selling Prowler 13 Angler. Third prize is the Ocean Kayak Tetra 12 Angler which is ideal for kayak angling and also a great all-round boat to enjoy on the water. Last year there were 79 entries to the OK Classic, nearly twice as many as the year before, and £790 was raised for the local RNLI lifeboat station. The tournament takes place on the beautiful waters of Swanage Bay, Dorset and is open to all amateur kayak fishermen who would like to take part. This is a catch and release competition with competitors trying to catch as many different species as possible during an allotted time period on the day of the tournament. It costs £10 to enter and all entry fees will be donated to the local Swanage RNLI Lifeboat Station. All competition entrants must be 18 or over and full entry details and the rules are available from the Johnson Outdoors UK website where entrants can also download the necessary competition forms. On the Johnson Outdoors UK and AnglersAfloat websites there will also be lots more information about the launch venue and local amenities. If you want to raise a new topic, post your comment here — just click first on Comments below, then type in post a comment (top right of the next window). Can you choose a title for your post, please? Sometimes it's hard to work out what a comment is about and what the subject is. A new heading will soon be set up, allowing others to see and add their own comments. It seems it's sometimes easier to click on 'Post anonymously' than to open an account in your name - you can always add your name to your message. We try to keep posts civilized. And any posts that become too provocative, insulting, threatening or otherwise unpleasant will be delete. Was anyone else woken up at 0220 hours on Monday 5th March by an aircraft which sounded as if it was crashing, or a Focke' dive bombing? The aircraft seemed to be going round and round over Swanage for at least 20 minutes. Naturally there was also the usual 0505 & 0525 ‘planes climbing away from Bournemouth Airport. Also on Friday 30th, The Royal British Legion host an evening of Open Comedy, with the chance to see possible stars of the future, tickets on the door at the amazing price of £3! The Sun Sea and Stand up programme follows on Saturday 31st March with established local venues Bay View, The Football Club, and The Royal British Legion, offering a fantastic programme, including BBC New Comedy Award winner and triple Pierrier award nominee Dan Atopolski (who also played Jesus in the Da Vinci Code!) Nick Page (“The best Story teller on the circuit, Rhod Gilbert.) and Steve Best (“Rip roaringly funny” The Guardian.) with a great mix of compares for all three venues. With continuing sponsorship from Piddle Brewery, the festival is going from strength to strength. Did the Berlin Airlift begin the process of making friends with our European neighbours which developed with the Swanage Town Twinning Association and the Wareham-Hemsbach Society?